You are creating a better Dane County for all. Thank you for your generosity, advocacy and volunteerism! Look back at the change you created in 2016. Local leaders in law enforcement and communities of color convened at United Way for a groundbreaking collaboration. The Special Community/Police Task Force was led by retired UW-Madison Police Chief Sue Riseling and Rev. Everett Mitchell. The small group held deep, thoughtful discussions at the neutral space that United Way provided. From these talks, this Task Force issued a set of recommendations for local law enforcement agencies designed to increase the safety in all police/citizen interactions. In October, nearly 20 law enforcement agencies reported positive results back to the Task Force. United Way thanks all law enforcement agencies, Task Force members and community members for their commitment to building trust and a safer community. Strong Roots grew out of recommendations put forth by the Delegation to Create Economic Stability for Young Families. This February event began a deep, year-long discussion how the community wants to engage in reducing poverty for local families. Read more on the Delegation’s recommendations and the Strong Roots mobilization plan. The power of the community created new homes on Madison’s north side this spring. More than 200 volunteers rolled up their sleeves to clean and paint apartments, so local homeless families can move into stable housing. Days of Caring kicked off at Mallards Stadium with 2016 Campaign Chair Kevin Conroy. 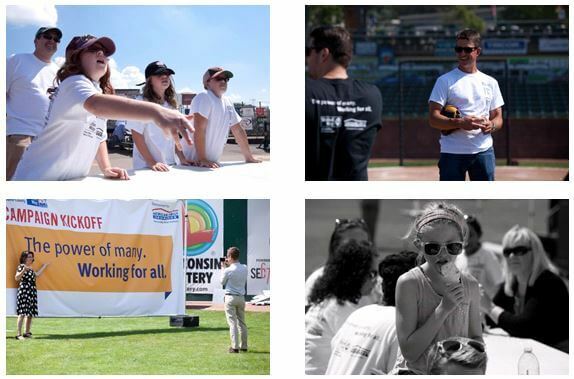 The three-day volunteering event mobilized more than 2,900 volunteers who gave more than 8,900 hours to the community. Volunteers finished more than 250 projects around Dane County to mark the 23rd Days of Caring! WIth United Way, the Latinx community released Cuéntame Más, a comprehensive report that documents the needs of this community. 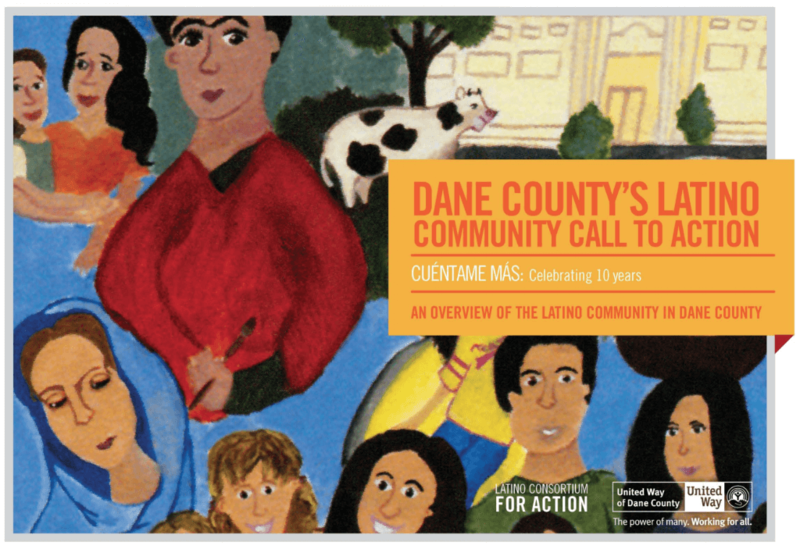 The report finds a need for more community support in a holistic, multi-generational strategy to reduce long-term poverty for the Latinx community in Dane County. Thousands of Dane County businesses and individuals came together to pledge $18.6 million to change thousands of lives in our community. The community’s generosity and United Way’s transparent work will go toward moving those individuals and families out of poverty in 2017. 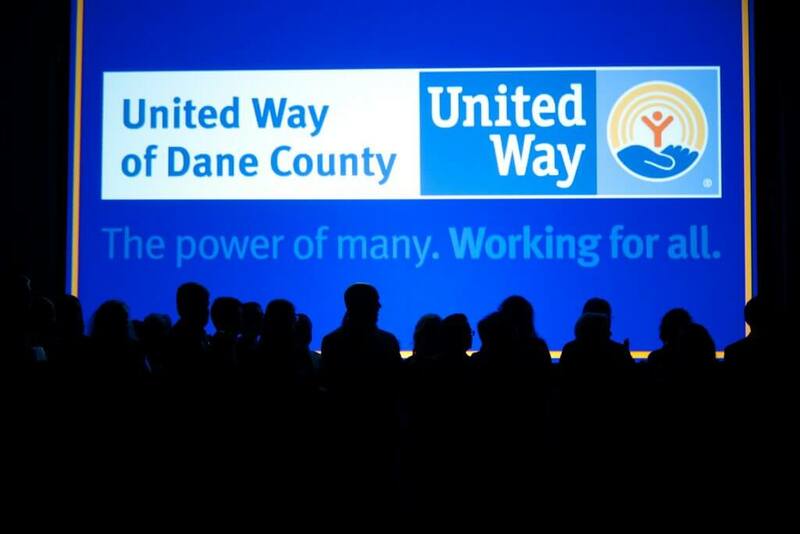 United Way thanks Kevin, his Campaign Cabinet, our Employee Campaign Managers and Loaned Executives for their incredible, passionate work to create a better Dane County for all. Thank you to the entire community for showing the true meaning of The Power of Many. Working for All.